The Cloud Transition - An Opportunity for MSPs? The acceptance of cloud has transformed the way businesses plan and perform their operations. The benefits offered by cloud, such as cost savings and mobility, have given these business room to target more and have more flexibility. Even small players and startups prefer cloud to enjoy its advantages over traditional system, which means financial advantages of shifting from a CAPEX to an OPEX model. With this spurt in interest in public cloud, some Managed Service Providers (MSPs) are unable to cope with the new scenarios that have emerged. It is important for them to understand the transformation to the cloud and the market for cloud hosting products and services. The good news is cloud is more of an opportunity for the MSPs. In fact, MSPs should themselves push their clients to migrate to the cloud and get early understanding and advantages of the cloud transformation. Cloud computing has introduced a whole gamut of services for channel providers to sell, on a subscription basis. The cloud market is undergoing rapid transformation, and MSPs realize this and thus are demanding more from their cloud service provider. In terms of availability, scalability and security, public cloud infrastructure can be rated high. Thus, this proposition is found attractive by MSPs and their clients. SO HOW IS CLOUD TRANSITION AN OPPORTUNITY FOR THE MSPs? Service providers and system integrators are going to be the dominant delivery vehicle for the cloud. Thus, for MSPs, the biggest opportunities lie in reselling Amazon Web Services and Microsoft Azure as an infrastructure solution, offer customer billing and Reserve Instance (RI) modeling to get a firm customer base. In addition to reselling these platforms, MSPs can also offer managing and remediation services. This requires making regular optimizations, recommendations, and implementing policy management to get an optimum mix of cost, performance, capacity, and security. Services like automatically identifying and terminating unattached volumes that are being paid for, identifying and stopping or downsizing the underutilized instances, and cost modeling for optimized costing are some of the instances of offerings. Also, there is a huge scope of providing value-added services that were not required in a private data center setting. MSPs can help their clients who are migrating from a private data center to the cloud by offering assistance. They can be the trusted partners of their clients during the migration phase; and even after that, they can do all policy management, governance and optimization with service-level management. This would essentially mean going for a full 24/7 service model to let the end customer be totally hands-free. Managing the technical expertise required for cloud transition by small enterprises is not an easy task. Thus, MSPs have a role crafted for this. It is up to them to grab this opportunity. However, getting experts can be a hard task. 2016 has proved to be the year of ransomware with many businesses and enterprises getting attacked. In February, a ransomware attack made Hollywood Presbyterian Medical Center pay $17,000 to regain access to its files. All businesses want to be saved from any such kind of threat. This creates an opportunity for MSPs to offer a variety of security services, such as email security, spam filtering, and firewalls. To overcome a ransomware attack without paying to the hackers, restoring to a recent backup can be a solution. Thus, MSPs can offer backup services as well. Also bundling of services as value packages and creating recurring revenue can be done with some smart moves. MSPs, like HCL, are making an intentional move to next-generation tools to get ahead of the cloud race and take the challenge of managing complex IT infrastructure. MSPs can bundle, extend, and resell multiple IaaS (Infrastructure-as-a-service) offerings, including Active Directory, computing, and disaster recovery. Among these, IT disaster recovery is of extreme interest to businesses of all sizes. 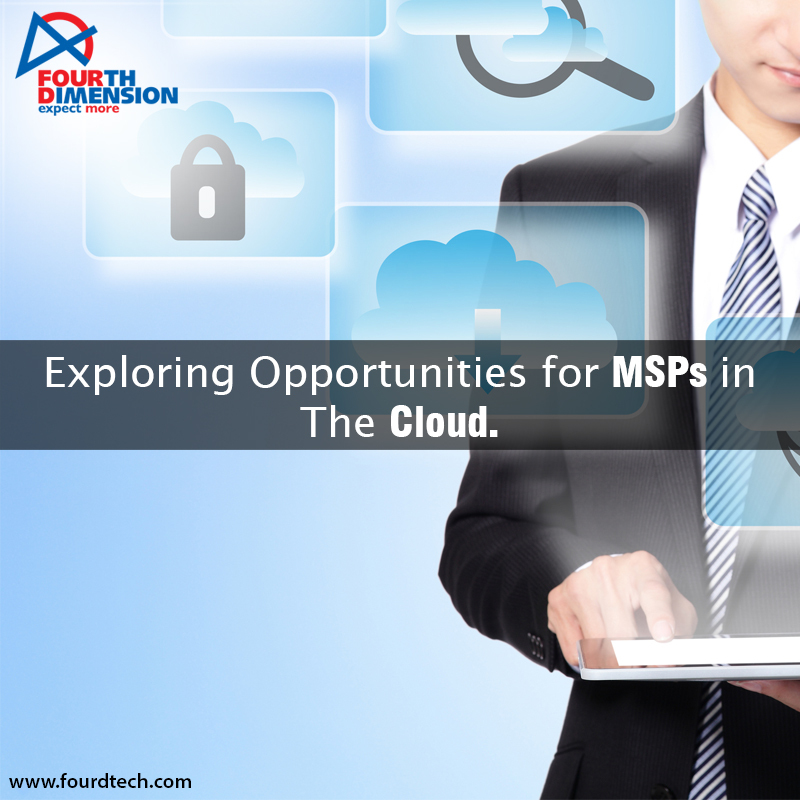 Thus, MSPs can leverage the opportunity by providing low-cost cloud storage. Overall, although some MSPs have a conservative outlook toward cloud adaptation and are worried about their revenues, many MSPs have already fetched good returns due to early re-orientation of their business model and services. In IT services industry, change is rapid and inevitable. Thus, MSPs should always be ready to change and gain. techniques that were not productive, I thought my life was done. Click here to get info more. IS OFFSHORING AN ANSWER FOR MANAGED SERVICE PROVIDERS IN US? How Meldown and Spectre affect the modern processors? Does Follow The Sun model works well for MSP's?